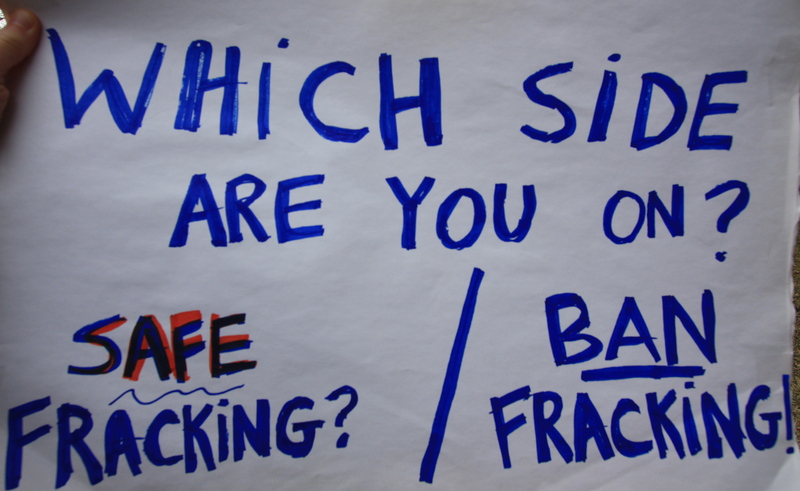 A new statewide poll shows that Michigan local government leaders believe that community members and their local boards and commissions are more likely to oppose than support fracking in their communities. The University of Michigan report (issued this month, with polling last December) indicates increasing statewide skepticism about fracking in Michigan. The Center for Local, State, and Urban Policy (CLOSUP) surveyed local government leaders in the state on issues related to high-volume horizontal fracking in their communities. Local leaders from 1,353 Michigan counties, cities, townships, and villages were polled. The Michigan Public Policy Survey estimates about 6% of local jurisdictions currently have fracking operations or efforts to add them, and 13% of survey respondents said they or their neighbors are somehow affected by it. Even so, the survey found the issue is an increasingly active topic of conversation. Where fracking is an active topic, local officials believe that citizens are more likely to oppose (37%) than support (11%) it in their communities. They believe the same about their local councils or boards, 29% saying that their boards oppose fracking compared to 16% who said their boards would support it. The survey respondents themselves — the chief elected and appointed officials — are more evenly split, with 36% opposing and 31% supporting high-volume horizontal fracking. There were regional differences, with officials in the Upper Peninsula more supportive of fracking (54% support, 32% opposed), northern Lower Peninsula officials more split (37% support, 35% opposed), and officials in more populated southeast Michigan sharply in opposition to fracking (19% support, and 51% opposed). Factors that respondents said influenced their decision were risks to water (57%), environmental damage (56%), health risks to citizens (47%), impact on property values (41%) and the influence of community organizations that are active on fracking issues (31%). The CLOSUP report concludes that, among a range of Michigan energy options, fracking ranks near last in support from local leaders, well behind renewable sources such as solar, hydroelectric, and wind power. These results back up earlier polling by the Pew Research Center which reported last fall that the more people learn about fracking, the more they oppose it. Pew conducted polls in March and September 2013 and found a marked increase in Americans opposed to fracking. In September 2013 more Americans (49%) opposed increased use of fracking than favored it (44%), a dramatic change from March 2013 when support for fracking had exceeded opposition by 10 points (48 to 38%). The Midwest showed a similar trend with 32% Midwesterners opposed to fracking in March and rising to 48% opposed by September 2013. The CLOSUP results are a good sign that advocacy for a ban on fracking and the reasons why fracking is harmful are getting through to more people—those elected and the rest of us. If you are an elected official and you’d like to know more about fracking and why it’s important to ban the practice, please contact us.